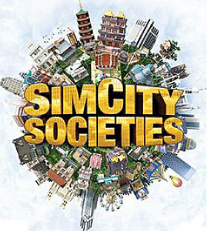 I saw the video for SimCity Societies today, and I have to say this is the version of SimCity that I’ve wanted to see for a long time. You can zoom down into the city, see everything in 3D, build your own themed towns, and it looks like a lot more. The website for SimCity even has a place for mods and uploads, so it’ll be interesting to see what people come up with. I’m anxious to get my hands on it. Anyone else try it yet? What do you think?